New Delhi-The Minister of State for Tourism, K. J. Alphons held a high level meeting with the Minister for Civil Aviation, Suresh Prabhu and Minister of State for Civil Aviation, Jayant Sinha along with senior officials from both the Ministries regarding providing better air connectivity for tourist destinations.In the meeting, it was decided that the Ministry of Civil Aviation shall under write any loss making route, if it is not already covered under Udan scheme. It was also decided that Udan scheme could be extended to all the under-served destinations at the earliest. 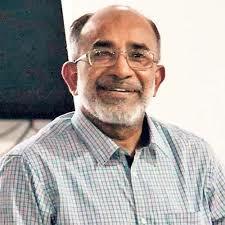 During the meeting, K. J. Alphons requested for daily Air India flights to Khajuraho, better connectivity to Aurangabad for accessing Ajanta Ellora, Triangular flight on Kochi-Goa-Jaipur sector, more international flights from Kozhikode, international flights to South East Asian countries from Guwahati Airport, commissioning of Kannur Airport, direct flights from Delhi to Kozhikode, daily flights from Kolkata to Shillong and more flights to Varanasi, direct flights from Ahmedabad and Kolkata to Srinagar and also opening the new airport in Sikkim. It was also requested that more flights be operated to Jindal Vijaynagar Airport to get better access to Hampi. The Ministry of Civil Aviation assured immediate action in consultation with airline operators to provide better connectivity.